What do tennis players Serena and Venus Williams, runner Scott Jurek and Olympic great Carl Lewis have in common? They are all athletes who also happen to be vegan. In Singapore, more athletes are turning to a plant-based diet too. While vegetarians and vegans exclude meat from their diet, vegans go a step further by eliminating animal products such as eggs and dairy. Operations manager and runner Kenny Lee, 29, started a Facebook group called Team V in 2013 to link up with other vegetarians and vegans who exercise or wish to adopt a more active lifestyle. Mr Lee, a vegetarian who turned vegan three years ago, says: "I also wanted to bust the myth that vegetarians and vegans are weak and not into sports." Today, the group has more than 180 members and they often come together for runs or hikes. Besides ethical reasons, athletes say turning vegan has helped boost their performance. For instance, Mr Lee says that since he turned vegan, his marathon timing has improved from 5.5 hours to 3.5 hours. "I have more energy and can train a lot harder and run faster." What is the scientific evidence behind this? Ms Joanna Tan, a senior dietitian at Changi General Hospital, says there are limited studies that examine the link between vegan diets and athletic performance. The few studies that have been done have been inconclusive. Instead, vegan diets have been associated with low energy and protein intakes and vegans are at a higher risk of having low levels of micronutrients such as calcium, iron, zinc and vitamin B12, compared with non-vegetarians, she adds. Vitamin B12 is not found naturally in any plant food, including mock meat. Hence, it is essential for vegans to consume food fortified with vitamin B12, such as soya milk and soya products, or take vitamin B12 supplements. Signs of nutrient deficiency can include dermatitis, poor wound healing, hair loss, weak nails, low energy levels and insomnia, says personal trainer and nutrition coach Cheryl Lin from Eat Train Love. But she believes that with the right planning and knowledge, it is possible for vegan athletes to get most of the nutrients they need from a plant-based diet. She says: "The need for animal protein, for instance, is a myth and there are many great plant-based alternatives and supplements made from brown rice, beans, peas, soya beans and hemp." Plant-based protein supplements are also available. But Ms Lin advises those who wish to go on a vegan diet to do so gradually. She says: "They can start by cutting out meat, then poultry, seafood, dairy and eggs. Or they can start with one vegan day a week and increase that as they go along. "This will allow the body to adjust and allow them to identify meals and routines that work for them." Running alone for hours at a stretch for six weeks in the mountains near Vancouver made Mr Chua Jing Zhi, 26, feel an affinity with animals he had never felt before. During his solo runs in the Canadian wilderness, the civil servant saw birds and even bears. He says: "I felt a sense of wonder to be in the wilderness." 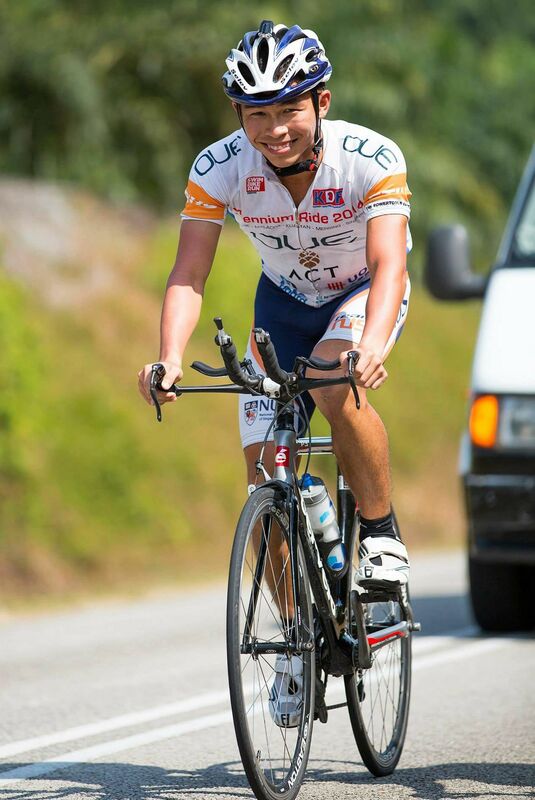 A triathlete since he was 19, he trained for a half marathon and an 80km ultramarathon while he was there in 2012 on a student exchange programme. After the exchange, he went to stay at an organic farm in the United States for three weeks. When he returned to Singapore, he decided he did not want to "cause harm to things he has feelings about" and turned vegan. His parents, a housewife and an engineer, were initially worried that his diet would leave him malnourished. His two sisters were supportive and would suggest going to vegan-friendly places whenever they ate out. Now, he carries two vegan energy bars and two gels, labelled suitable for vegans, as emergency food. He also takes a plant-based protein shake as a quick way to refuel after a workout. The 1.7m-tall athlete works out about 21/2 hours every day and runs about two races a year. His diet has made him shed 4kg and he is now 60kg. "I feel lighter and can run faster," he says. He also appreciates the support from Singapore's community of vegans, whom he calls "kind" and "inspiring". He adds: "We share ideas via Facebook, WhatsApp, potluck gatherings and meet-ups on where to eat and which products are vegan." This vegan couple want to raise their daughter vegan. The wife, Canada-born endurance athlete Emilie Tan, 32, who is almost six months pregnant, says: "Research has shown that a well-planned vegan diet is suitable for every stage of life, including infancy and pregnancy." She switched to a vegan diet about five years ago because she was suffering digestive problems. 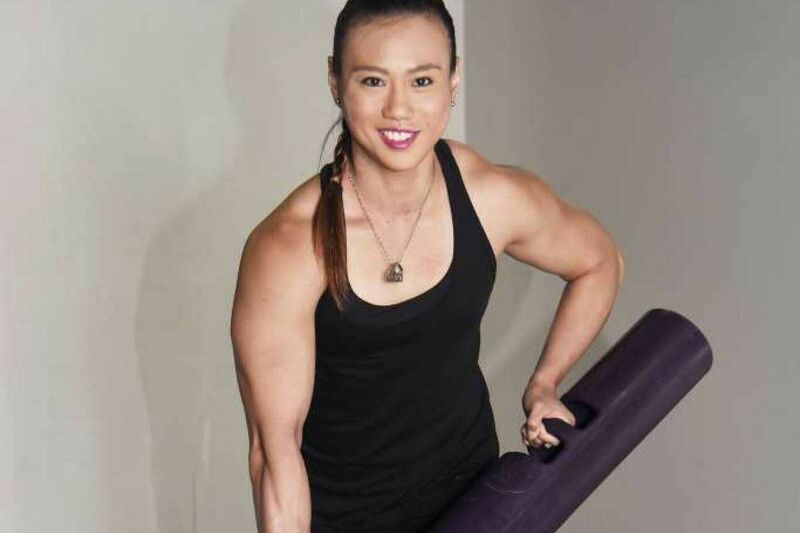 Her then boyfriend and now husband, Singaporean bodybuilder and strength athlete Luke Tan, 37, also switched to a vegan diet. One of his biggest motivating factors was the award-winning documentary Earthlings (2005), which depicts atrocities inflicted on animals. He says: "I saw how animals were exploited for food and fashion and I didn't want to be part of that." The couple, who got married in 2012 in Melbourne, started two health and fitness brands in the city. The first is Evolved Generation, a community of vegan athletes and health professionals who run fitness events, while the other is Live Green Live Lean, a health and fitness consultancy. They moved back to Singapore in July last year and run their businesses from here. Mr Tan says: "We believe that the future of food lies in a plant-based diet and we want to educate and inspire people to move towards such a diet for health, ethical and environmental reasons." To prepare for competitions, master trainer and bodybuilder Thara Begum Yeo, 29, used to eat at least 1kg of chicken breast and six to eight eggs every day. But she decided to give all these up after watching documentaries on animal cruelty. From August last year, she replaced animal proteins in her diet with plant proteins such as tempeh, tofu and "all sorts of beans". Although her protein intake dropped to a third of what it used to be, she upped her carbohydrate intake so she is still consuming 2,500 calories every day. She eats four to five meals a day that she mostly cooks herself. For inspiration, she follows other vegan bodybuilders, such as American Torre Washington, on Instagram. The 1.65m-tall woman has since lost about 2kg and now weighs 62kg. Her husband, personal trainer and bodybuilder Mohamed Haris, 31, is not vegan. She says: "I don't think I have lost any muscle mass, but I feel lighter and more energetic." Having retired temporarily from competitive bodybuilding after winning the Southeast Asian Championship Women's Bodybuilding Open Category in 2014, she plans to return to competing next year. She says: "I want to show it is possible to win again on a vegan diet." •Include energy-dense food in your diet. These include nuts, tofu, tempeh, textured vegetable protein and commercially prepared mock meat. Vegan diets, especially those high in fibre, are associated with low energy intakes as fibre tends to make a person feel full more easily. •Protein needs for athletes are slightly higher than those of sedentary people. But plant proteins may lack one or more essential amino acids. Hence, to ensure you have the full spectrum of amino acids, it is good to combine food sources, for instance, adding beans to grains such as rice. •Consult a sports dietitian and check if you need to take a multi-vitamin to ensure your energy, protein and micronutrient needs are met. •November is World Vegan Month.